Click here to assess your personal Body Mass index and health risks. PLEASE NOTE: Scroll to the second page, find your height in the left column, move horizontally across to find your weight, go up to find your Body Mass Index (BMI). Risk categories are seen below. This chart is from the Surgeon General's Office of the USA. We start out with weight loss, which is important because carrying extra body weight has been shown to put you at a higher risk for so many health problems. Losing weight is just the beginning. The Habits of Health are what makes the difference between temporary weight loss and the potential for a lifetime of healthy lifestyle changes. The Habits of Health are explained in detail in two books, Dr. A’s Habits of Health, and the companion guide, Living a Longer Healthier Life, as well as the DVD set, which presents material from both. Our philosophy is that bad habits are not broken; they are simply replaced with good ones! We do this by increasing our awareness and practicing new, healthier behaviors every day. 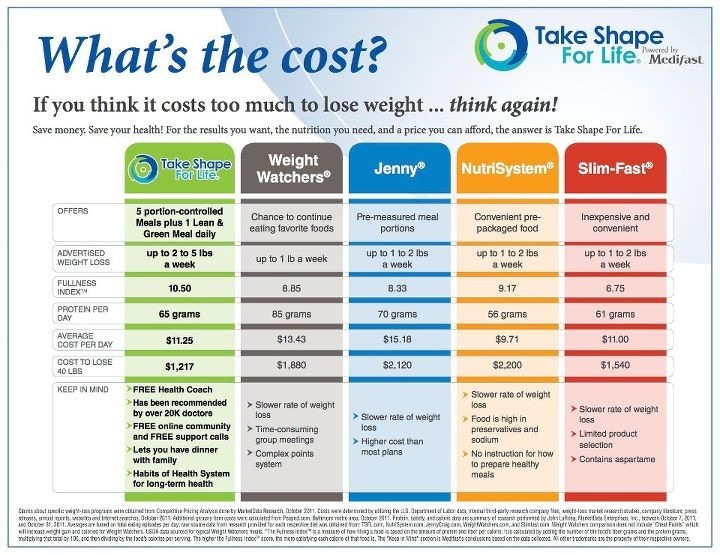 Click here to see how Take Shape for Life stacks up against other programs. It’s not a quick fix, but when you invest the time, you can create better health for the rest of your life. And I can help! Coaching is done by phone, email and the internet – we are located in the Hudson Valley, NY, but our clients are located around the United States.